David Bell signs for Notts County. Following the confirmation of the release from his Coventry City contract earlier this morning, David Bell has now, as expected, completed his move to League One rivals Notts County. In his three-and-a-half years at The Ricoh Arena following his arrival for a reported £500,000 from Norwich City, Bell has made 98 apperances and scored six goals. 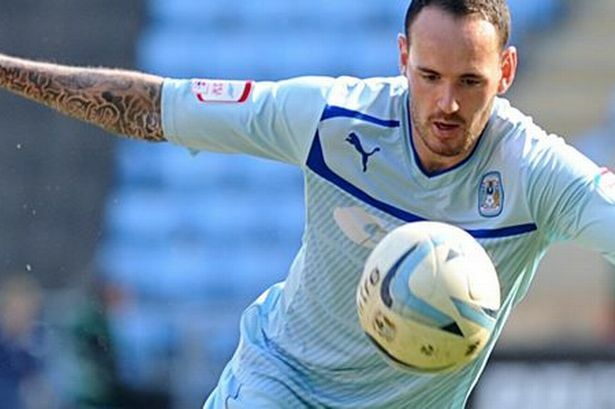 Ironically, Bell’s last game in Sky Blue came at Meadow Lane in a 2-2 draw away at Notts County in the final game of 2012/2013, where he posed a constant threat and came close to scoring, striking the post. Notts County have not revealed the length of contract Bell has signed. « David Bell agrees mutual termination of contract.